Leg Up Fund: Cuyahoga Chapter created this fund to be of help to any member in need. Someone may be out of work or ill and need a bit of assistance. You can help by donating even a small amount to this fund and by letting us know of anyone who may need help. Contact Treasurer Cathy Rutti carutti22@yahoo.com to donate or suggest donations. Sunshine Person: is Josie Wolf, contact her and she will send a get well, condolence, or congratulations card etc. to OHC members. Contact Josie via text message at 216-952-7226 or contact Penny pennyohc@sbcglobal.net. Newsletter Advertising Information: Cuyahoga OHC sends out a newsletter once a month to about 200 recipients, mostly via email. If you are a member and have something to sell, you may have a small classified ad included at no charge for one month. After that there is a small fee. If you are interested in advertising - please contact newsletter editor Carole James at: cjames@brtcharter.com Look for a form in the monthly newsletter. Our ads are very successful as they reach a lot of people throughout northeast Ohio. 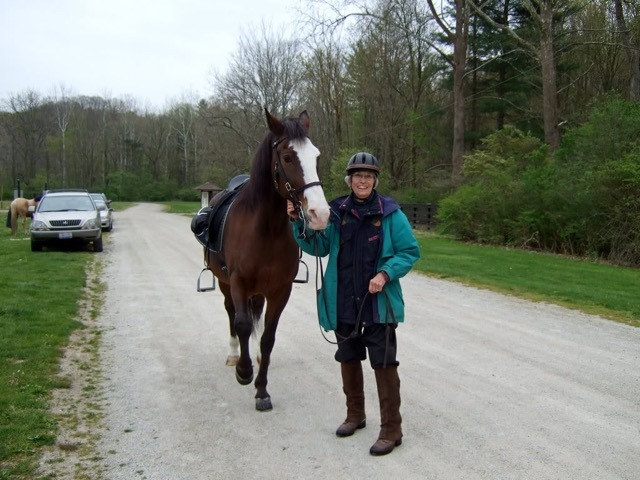 Trail Rides: Our Trail Boss, Ken Skoczen, 216-225-0223 or skoczenkm@sbcglobal.net also, Kathy King, 216-990-9880 or kings3hors- es@yahoo.com, along with others lead very safe trail rides in various locations in the Cleveland Metroparks and beyond. Group rides are fun and many times include a shared picnic lunch. Watch for information in the newsletter and if you have somewhere you would like to see a ride planned, contact Kathy and send your email for the contact list. 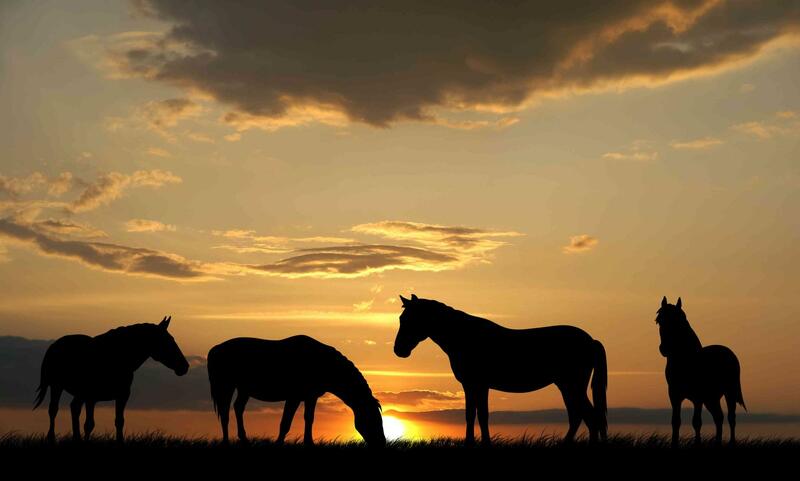 Trail Miles and Saddle Hours: Please keep track of the miles you ride on trail or the hours you ride in the arena (saddle hours) this year. These miles/hours reported at year’s end, will earn you patches (if you want them) and will be turned in to the State OHC for state reporting. We will also turn these miles in to Cleveland Metroparks so they know we are out there using the trails. This is the best way to preserve trails -even if you ride one mile or 1000 miles. Report them! There will be a form in the newsletter for year-end total miles. 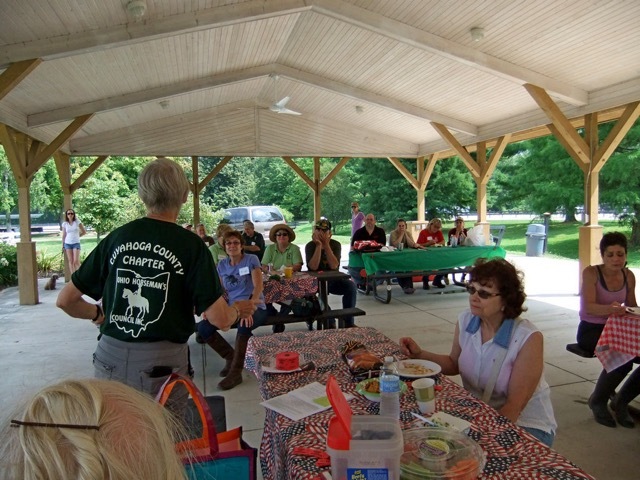 Reservation Representatives: We have a Rep. for most every Reservation in Cleveland Metroparks. They are listed in the newsletters and report on trail conditions, information and issues. They also keep in touch with management on things like downed trees, washouts or other problems that you report to them. If you want to know more about a Reservation, you may call them for information. They may even offer a guided tour if you ask. Rocky River ~ Rep needed. General Meetings: are held the last Monday of the month-unless otherwise noted. Check your newsletter. Planning Meetings open to all who wish to be part of planning events and activities are held the second Monday of the month. Again, check your newsletter calendar. Contact any officer if you have questions or suggestions. Tell them at Big Dee’s that you are a member of Cuyahoga OHC and want your purchases to count for Cuyahoga County OHC club Bonus Bucks. Our code is COHC. You will also get points for yourself in the program. We use these bucks for gifts and items for our programs or dinners. Schneider Saddlery gives a discount when you show your Cuyahoga OHC Membership Card at checkout in the store. THIS ALSO HELPS US VIA DONATIONS! Clip-y Clop gives 10% discount with their ad in our newsletter. OHC State website has more information on member discounts at: www.ohconline.com you can save a good amount of money.